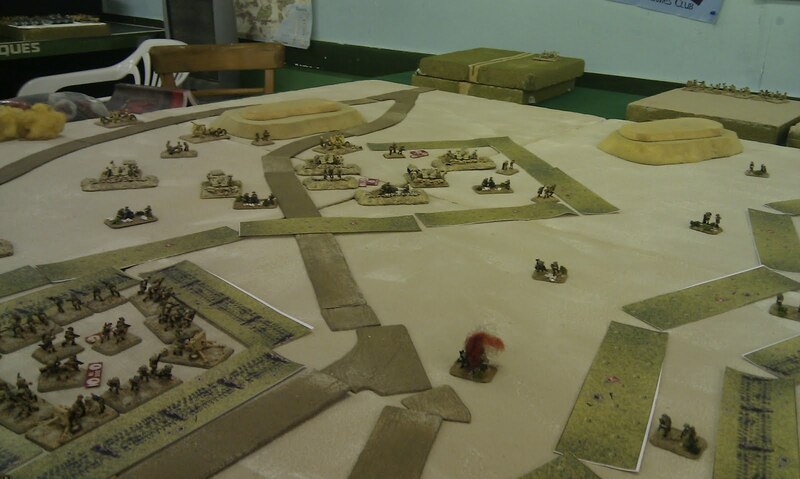 Luke and I headed up the club on a Sunday for the first time in quite a while to play the Ras-el-Madur scenario from Wargames Illustrated 263. We having been planning to run this for a while. We used the force list from the magazine, but the organisations and stats from Hellfire and back as more suitable for early war. Luke took the defenders and I took the attackers. My initial advances went well as the defenders failed to see my troops and my pioneers cleared wire and minefields while my tanks knocked out MG pits. However as I advanced the going got tougher as I came in range of 2 and 25 pounder fire and began to lose tanks, while the artillery and small arms fire was beginning to inflict very heavy casualties on my pioneers. However, although some reserves had arrived for the defenders, I had weathered and destroyed their ambush and the Italians has arrived. 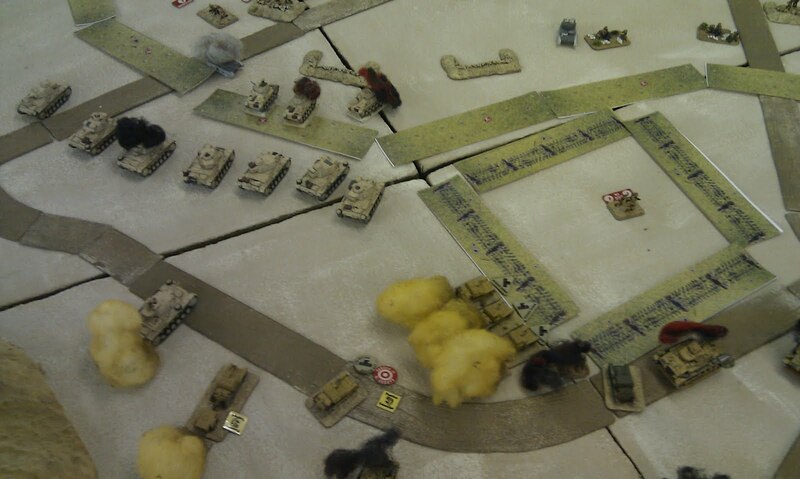 They were now moving up towards the battered defenders. 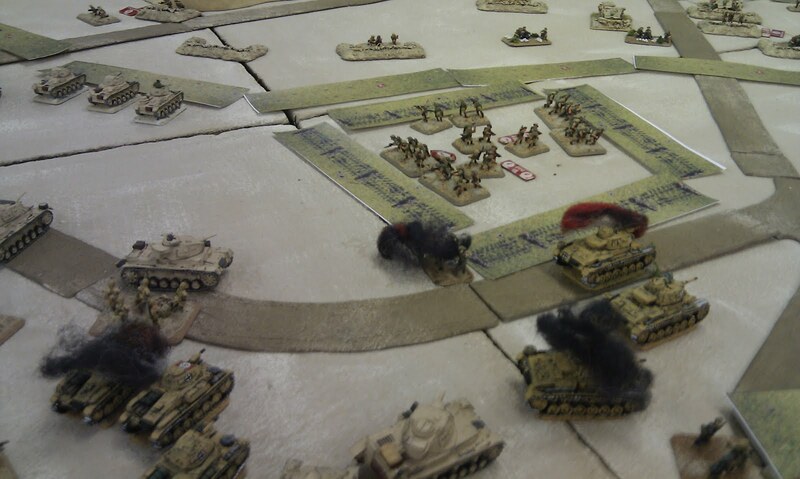 The first unit tool heavy casualties and was wiped out, but not before damaging the defenders. 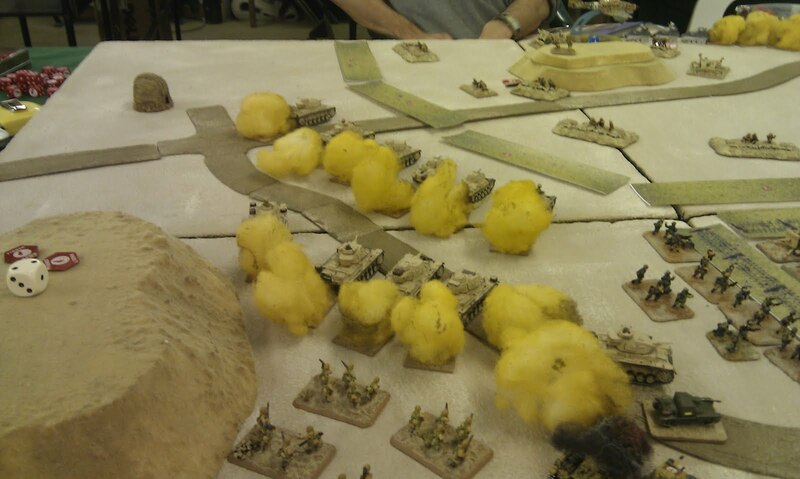 I then launched the feared Italian tankettes (!) at the box, and got totally hung up on the wire. 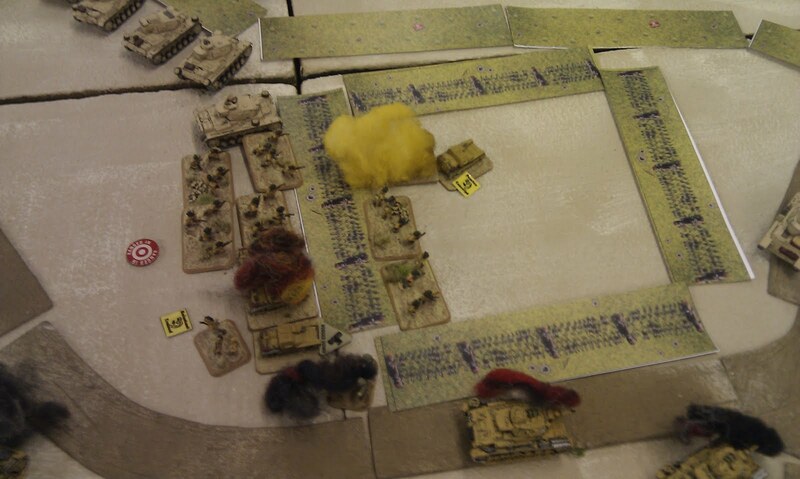 A second attempt was more successful and the box fell to the Italians as the tankettes occupied it followed up by their infantry. 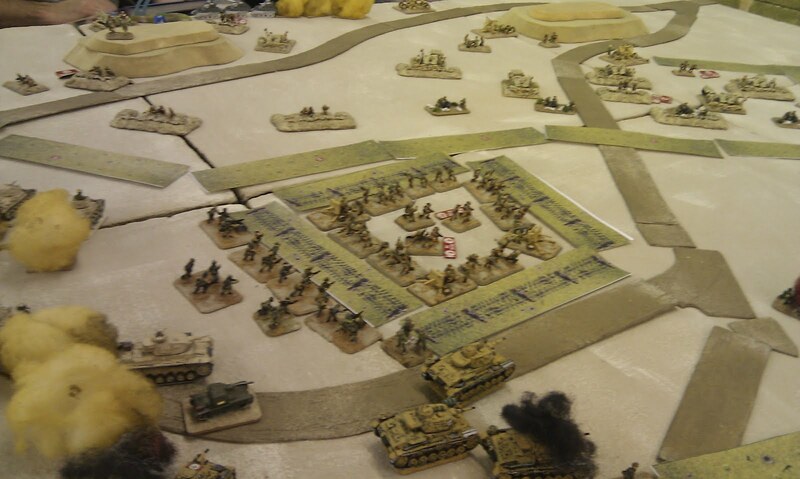 To the left of the box the German armour was struggling on the inner minefield and covering 25 pounder, but to the right I was rolling up the MG pits and managed to destroy the 8th I needed to claim victory just as the nearly indestructible I tanks arrived (fortunately these kept breaking down keeping them away from me for as long as possible). The Axis forces had just managed to claim victory, but it was a really tight game and great fin and proves that FoW can be used for historical scenarios as well as points battles and works just as well.